Between the ages of 8 and 18, during those growing years, is when scoliosis usually shows up. And, while any child can have or develop scoliosis, a lateral curvature of the spine, it is more common in girls. 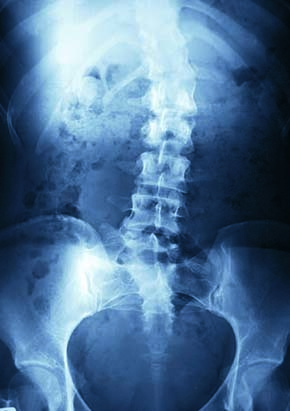 The two most common causes are congential (being born with a curvature of the spine) and habitual. Habitual, or environmental, causes vary from improperly carrying backpacks to poor posture and sitting habits, which affect the proper development of the spine. 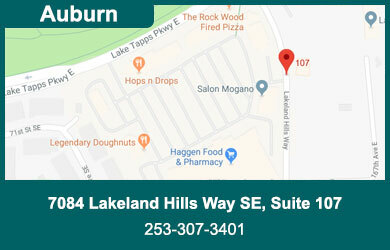 Unfortunately, the related problems, backaches, and fatigue aren’t just growing pains and can continue into adulthood. Chiropractic care helps children and adults manage scoliosis and lessen or eliminate the accompanying pain and discomfort. Plus, maintaining a healthy spine allows for an on-going, active lifestyle for most people suffering with scoliosis. Maybe it is not just growing pains…contact your chiropractor today. It’s been one of those days… too much to do, too much stress… and BANG you’ve got a tension headache. It’s a pain you can feel at the base of your neck, like a vise. Usually caused by muscle tightness in these areas, tension headaches are very common and can develop into a chronic condition. While this muscle tightening is often a response to stress, depression or anxiety, there are other physical causes as well. Activities done in one position for a long time like computer work, or sleeping with the neck in an abnormal position can also trigger tension headaches. Other causes include spinal misalignment, eye strain, fatigue, excessive alcohol, smoking, or caffeine use, sinus infection, nasal congestion, overexertion, colds and the flu. Along with stress reduction and regular stretching, chiropractic care helps relieve the symptoms of tension headaches caused by tense muscles and misalignments of the spine in the neck and upper back area. Get back to living the pain free life you deserve… contact your chiropractor for tension headache relief. You sit at a desk all day; drive a little hunched forward behind your steering wheel; lift kids, bags and boxes with you’re your back instead of your legs. All activities that are just a part of your day, but over time they can get your back ‘off-track.’ Between the verte­brae of your spine are soft, gel-like discs that act as shock absorbers. Improper movement, injury or aging can cause these discs to push to one side or rupture. Bulging or herniated discs can occur anywhere along your spine, causing pain and inflexibility that can truly put your life on hold. Chiropractic care works on correcting misaligned or out of place vertebrae to remove pressure on the disc and nerve endings, thereby reducing pain and improving flexibility and function. Your chiropractor can also give you tips on posture, stretching and exercise which will reduce your chance of future herniated discs. Don’t let a herniated disc steer your life off track…visit your chiropractor for relief today! It’s been a long day and you feel it everywhere–especially your neck. There’s that familiar stiff, tight feeling that you can’t seem to massage away. It’s uncomfortable and it hurts. Is it stress? Sitting at your computer all day? That little fender bender you had last week? More often than not, neck pain is the result of a combination of life-style habits like poor sitting posture, reading in bed, sleeping on your stomach and lack of proper exercise. These factors cause misalignments in the spine…and that leads to neck pain. Before you turn to anit-inflammatories, muscle relaxers or other pain killing medicines, talk with a chiropractor. Medicines treat the symptoms not the underlying problem. And, we usually get excellent results in treating the core issue–spinal misalignment. That means the cause of the pain is corrected…not just covered up. 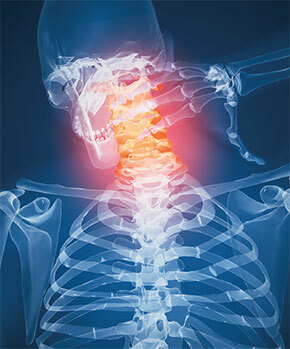 So don’t let life be a pain in the neck for you or your loved ones…contact your chiropractor today. A car screeches to a sudden stop… a vehicle is hit from behind…crazy roller coaster rides…severe shaking …all of these incidents can lead to your head being jerked or ‘whipped’ around quickly and severely. The result of this intense forward/ backward motion is that your neck muscles and ligaments are stretched and strained past their normal range of motion…this is whiplash. Don’t ignore whiplash and hope that it just goes away. Chiropractic care can help alleviate the pain and correct many of the complications you or your loved one is experiencing. Don’t let a few seconds ruin you for weeks…or longer—contact your chiropractor today. It starts as a pain in the lower back that radiates into the buttocks and down the back of one or both legs. In the most severe cases it can prevent movements of your knee and foot. 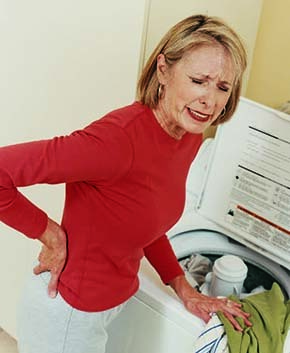 It’s called sciatica, because irritation of the sciatic nerves is at the root of all. The largest nerves of the body, the sciatica are five pairs of nerves that go from the spine down through the lower back. When the vertebrae in the lower back are misaligned or out of place or the discs between them are swollen, bulged or herniated, the result is pressure on the sciatic nerves. That pressure can cause tremendous pain and even prevent normal daily activity. 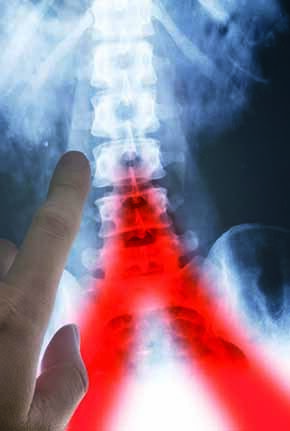 Chiropractic care is a major tool in treating sciatica. By correcting misaligned or out of place vertebrae, your chiropractor removes the pressure placed on the sciatic nerve, thereby reducing pain and improving flexibility and function to your life. Don’t let sciatica get on your nerves and stop you from living…contact your chiropractor today. Work or pleasure from typing to knitting …sometimes the things you do everyday become impossible. When the small, repetitive motions your hands usually perform without a care bring pain, numb- ness or tingling…chances are it’s Carpal Tunnel Syndrome. What’s happening is the compression (or squeezing) of the median nerve at the wrist. When the wrist is poorly positioned, there isn’t enough space for the nerve to travel to the hand. 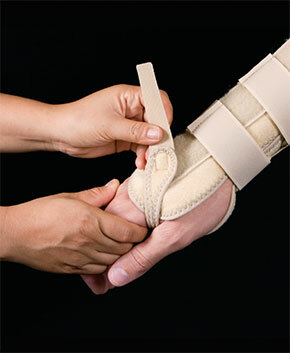 The pres- sure on the nerve from the wrist (or carpal) bones and supporting membranes causes swelling. The result is that numbness, tingling, weakness or even muscle atrophy you feel in your hands. If you or someone you know is experiencing any of the signs of Carpal Tunnel Syndrome, know that this is a very treatable problem. Chiropractors can make huge strides in correcting the symptoms and relieving your pain. 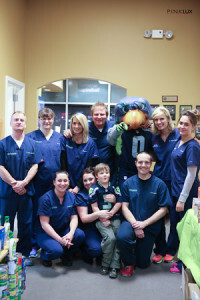 You don’t have to stop doing what you love…there is relief… visit your chiropractor today!